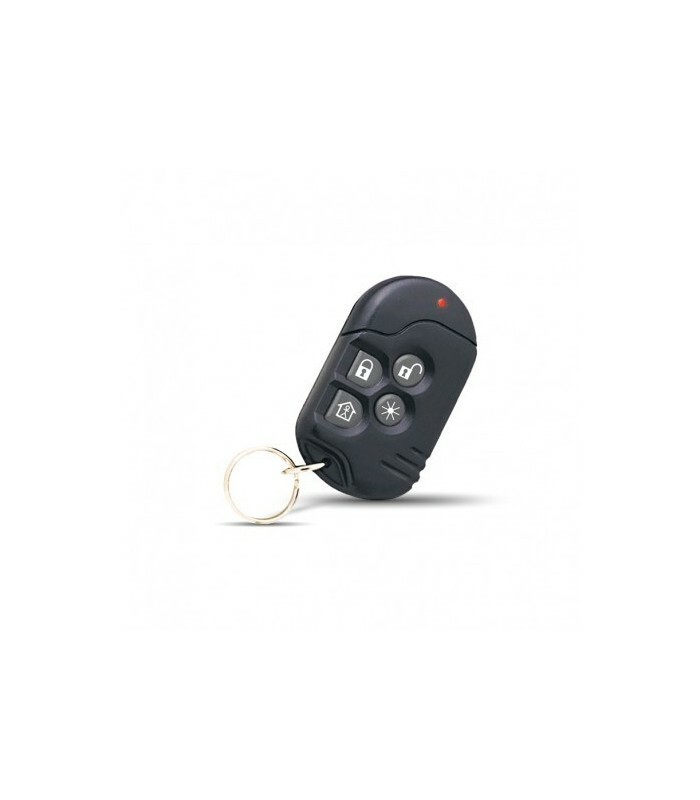 KF-234 PG2 is a miniature PowerG 4-button (6-function) keyfob, designed for use with PowerG control panels. Transmission is initiated by pressing any one of the four recessed pushbuttons. Upon pressing a specific button, the KF-234 PG2 transmits a PowerG message associated with the button that was pressed and identifiable by PowerG control panels. that the control panel cannot perform the command. In addition, a battery report is transmitted with the outgoing message. a corresponding output, if required. Each keyfob is supplied with a small key ring. Note: For UL Listed Product, Panic is for Ancillary Use only.